The Westside M.O.B. 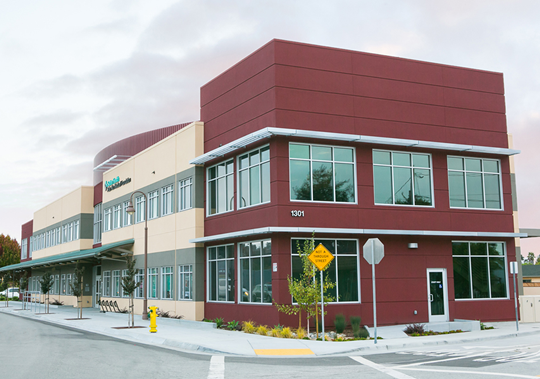 in Santa Cruz encompasses the Mission Street frontage between Van Ness and Laurent and includes a new 18,500 square foot medical building for Sutter Healthcare, operated by Palo Alto Medical Foundation (PAMF). 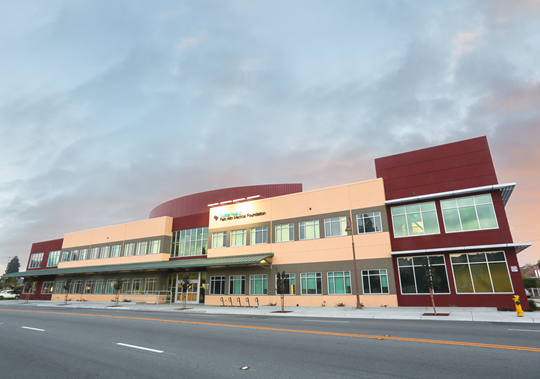 The building offers primary care physicians (family and internal medicine), brings pediatric services to the Westside, and continues to offer Westside residents access to urgent care services. The site incorporates seven contiguous parcels totaling 51,835 square feet, consolidated into one development, with the building itself presenting 210 feet of building structure along Mission Street. 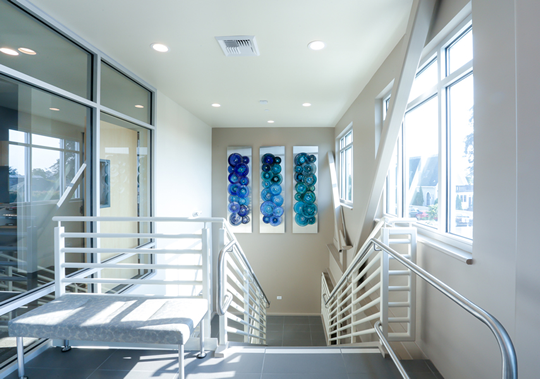 The development team for the project consisted of Sutter Santa Cruz, Bogard Construction, and Sacramento-based design firm Silva Stowell Architects. The team was assembled based on their individual qualifications with similar complex projects, as well as their previous experience on other projects with Sutter Health. The project team was established in the early stages of the design process in order to create a collaborative effort for the coordination of the project. During preconstruction, the team worked to develop the project design and establish a feasible budget meeting the goals of the Owner, as well as assist in design review and construction feasibility. This process, coordinated under the philosophy of “Lean Construction”, is called an Integrated Project Delivery method, also known as IPD. 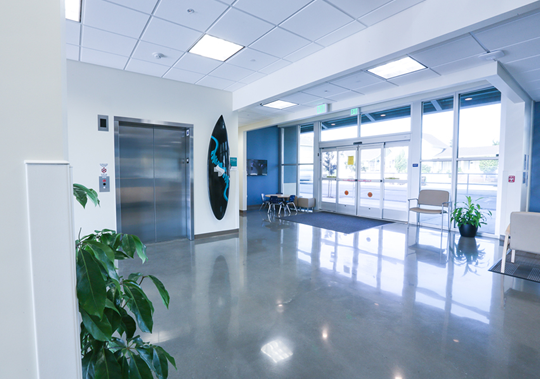 This Lean Construction philosophy was also implemented with the same team of Sutter, Bogard and Silva-Stowell on the 20,000 square foot medical office building on Chanticleer Avenue in Soquel. 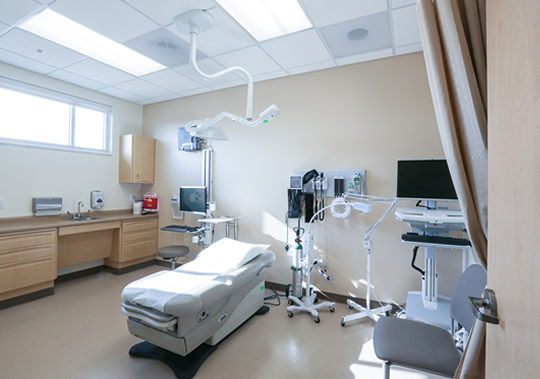 The Soquel facility is located across the street from Sutter’s main Santa Cruz hospital (also built by Bogard Construction in the mid-1990’s), and houses Podiatric Medicine and Surgery, Orthopedics and Ob/Gyn. The building was completed ahead of schedule, providing Sutter with a cost savings in the process due to preconstruction, design and construction efficiencies developed by the team members. As a result of the great success experienced in Soquel, Sutter was looking to recreate the process for their Westside MOB, with preconstruction achieving shining success similar to its Chanticleer predecessor. Please visit http://www.pamf.org/newwestside for more information.